If you're able to drag yourself away from the Nintendo Direct hype, you'll notice that there's another fun packed European Nintendo Download to enjoy! 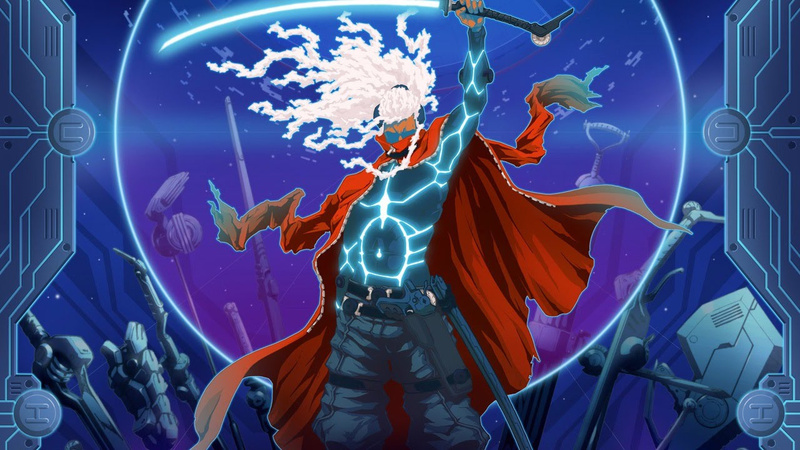 Furi (The Game Bakers, €19.99 / £17.99) - Fight your way free in this ultra-responsive, fast-paced sword fighting and dual-stick shooting game. Feel the tension and adrenaline of one-on-one duels against deadly adversaries: you will need absolute focus and skill to defeat each of the guardians. Do you have what it takes to reach the last gate? 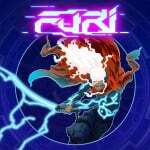 Find out more in our Furi review. Super Meat Boy (BlitWorks, €12.99 / £11.99) - Super Meat Boy is a tough-as-nails platformer where you play as an animated cube of meat who's trying to save his girlfriend (who happens to be made of bandages) from an evil fetus in a jar wearing a tux. The Escapists 2 (Team17 Digital, €19.99 / £19.99) - Bust out anywhere, with anyone on the Nintendo Switch. Team up with another inmate for local two player split screen mode, taking a Joy-Con each to either team up to break out, or work against one another to determine who’s the quickest convict to make an escape. Risk it all to breakout from the toughest prisons in the world. Find out more in our The Escapists 2 review. Moorhuhn Knights & Castles (Young Fun Studio, €29.99 / £26.99) - Finally, Moorhuhn strikes back! Get set, aim, fire... and never neglect your own cover. Fight against the AI, your friends... or your enemies! Never Stop Sneakin' (Humble Hearts, €12.99 / £11.69) - Can you believe it? That madman, Amadeus Guildenstern, just traveled through time and kidnapped all the U.S. Presidents! Yes, all of them! Even the bad ones! 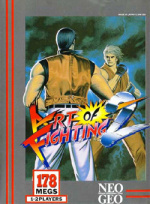 ACA NEOGEO Art Of Fighting 2 (HAMSTER, €6.99 / £6.29) - "ART OF FIGHTING 2" is a fighting game released by SNK in 1994. Twelve fighters compete to be crowned as the strongest one in the “King of Fighters” ultimate fighting championship. We didn't quite feel that the game lived up to its immense promise when we reviewed it back in 2008 when it landed on the Wii Virtual Console, but we'll take another look now that its made the jump to the Switch. 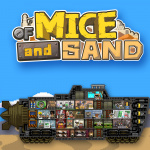 Of Mice and Sand (ARC SYSTEM WORKS, €9.99 / £8.99) - "Of MICE and SAND -REVISED-" puts you in charge of a desert craft and its rodent crew. Brave an alien planet, and turn your squeaking subordinates into first-class shipmates, all in the name of adventure! 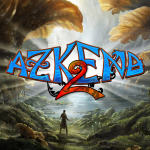 Azkend 2: The World Beneath (10tons, €7.99 / £6.99) - Enjoy amazing match-three gameplay and discover one of the most astonishing worlds ever imagined. While traveling from Liverpool to New York, your ship was pulled down into a massive maelstrom. Bayonetta (Nintendo, Conditional discount: €10.00 / £10.00 for purchasers of Bayonetta 2 on the Nintendo eShop Regular price €29.99 / £24.99) - In a coffin submerged at the bottom of a murky lake, a witch is reborn. Discover or relive the epic Bayonetta anytime, anywhere on Nintendo Switch! Bayonetta 2 (Nintendo, Conditional discount: €30.00 / £25.00 for purchasers of Bayonetta on the Nintendo eShop Regular price €49.99 / £39.99) - In this climactic sequel to the critically acclaimed Bayonetta action game, players will be on the edge of their seats from start to finish. Dragon Quest Builders (Nintendo, €49.99 / £39.99) - The goddess Rubiss has spoken – and you have been chosen. Dragon Quest Builders is destined for Nintendo Switch. The game is a big hit in Japan, mixing the fun of building with an overarching story and the combat of an action-RPG. You’ll master the art of construction, build your own towns however you want, defend them from monsters, and rescue townsfolk in need. Succeed and you may just rebuild Alefgard, the very same world where the series began. A separate free build mode allows you to build to your heart’s content with unlimited resources. And a Nintendo Switch exclusive Great Sabrecub will boost your speed and grant you special material by defeating enemies. 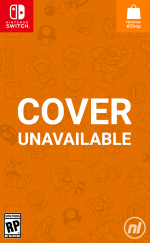 Kirby Star Allies (Nintendo, €59.99 / £49.99 for pre-orders until 15.03.2018, 23:59 local time Regular price €59.99 / £49.99) - Game description : The pink puff is back – in HD – and he's not alone. Kirby is back – and he’s finally on the Nintendo Switch console in HD! But this time, he’s not alone. Recruit enemies by hitting them with hearts, and gather helpers for a party of up to four characters. Breakout Defense 2 (nuGAME, €6,99 / £5.99) - Breakout Defense is a breakout game for one or two players. Play single player against the AI and aim for a high score or two player mode competing against a friend. Supports Off-TV Play mode. Jolt Family Robot Racer (Cooply, €5,99 / £4.99) - JOLT is a fast paced, racing party game. The game at its core is a competitive platformer thatst a friend.n controls (slash attack and heavy blow) to destroy your enemies.le suits made and defend your people!ost, powerful energy source before it's too late an array of different objects in the environment; your goal is to outperform or outright sabotage the other racers. That's everything for this week - let us know what you'll be downloading in the comments below. Interested in the Dragon Quest Builders demo. Never gave it a shot on the PS4, so can't wait to try it out. Demo downloading and Bayonetta Japanese edition already pre-ordered. Yep, bring back the vote! 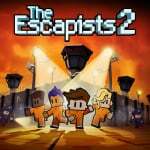 Just Escapists 2 for me, going to download it tonight but I'll be buying it from the NA store as its $20 there as opposed to £20 in the UK shop. I'm curious about Of Mice and Sand Revised, it received some good reviews when it released in Japan last month. I'll wait for a review I can understand though before deciding whether to buy it. I was interested in Furi but the difficulty is putting me off. I might grab it in a future sale. That Knights and Castles is a rip off at £26.99.It's £3.49 on Google Play where it goes under the name Crazy Chicken. There are also free versions of it but I'm not sure if those are the same game. Does Kirby Star Allies have a pre-order discount? Bring back the Vote please. 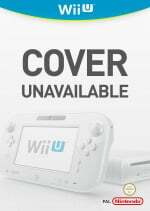 Is it just me, or are we suddenly lacking key features on Nintendolife? As others have said, bring back the vote and the live feed during Directs! I'll download the DQ Builders demo, I tried the Vita version for a little while but the Switch version might convince me. It's also good news that Bayonetta has a discount because I've already bought it on Wii U. It's a pleasant suprise! Never Stop Sneaking looks fun. Might be tempted. That Pokkén Tournament DX Bundle price is a cod. I can't find the demo of forma.8 in the German eShop. Can anyone confirm it's available elsewhere in Europe right now? Did anyone else notice that the vote feature is still missing? "The pink puff is back – in HD – and he's not alone. Kirby is back – and he’s finally on the Nintendo Switch console in HD! But this time, he’s not alone." Wait... Bayonetta is 30 euro? No vote? But putting that aside the Pokken Tournament DLC seems very overpriced. I'd maybe go for it if it was like £7.99 or so. DON'T bring back the vote, please. Yes, please DON'T bring back the vote! Just to clarify, i've looked for it in the special demo section of the eShop and the eShop site for the game (where you can continue to the buying screen and add it to your wishlist). Normally there's a button to download the demo version too. 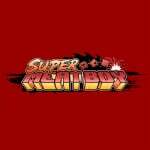 Love your Super Meat Boy super short synopsis! "Nintendo, €59.99 / £49.99 for pre-orders until 15.03.2018, 23:59 local time Regular price €59.99 / £49.99)"